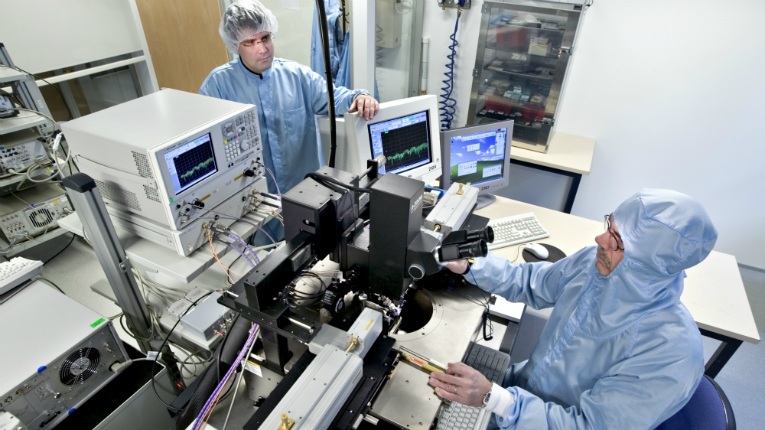 VTT's Jussi Varis and Hannu Hakojärvi testing the 70 gigahertz circuits integrated into the space-based Planck observatory. Finnish researchers are among the recipients of the 2018 Gruber Cosmology Prize for their work on the European Space Agency’s (ESA) Planck satellite that has shed more light on the Universe. The space-based Planck observatory collected data from the cosmic microwave background (relic radiation left over from the Big Bang) with unprecedented accuracy between 2009 and 2013, revealing more precise information about the Universe, such as origin, age, composition and geometry. 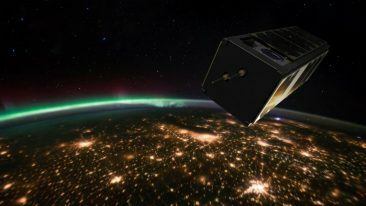 The Planck observatory contained the world’s most sensitive radio receiver developed under the leadership of VTT Technical Research Centre of Finland and Aalto University’s MilliLab. The receiver operated flawlessly from the launch of the space probe until the end of the project – twice as long as anticipated. There were a total of 15 Finnish researchers involved in developing the radio receiver for the Planck project, with participation from VTT, Aalto University, DA-Design, the University of Helsinki and the University of Turku, as well as funding from VTT, Tekes (now part of Business Finland) and the Academy of Finland. The Gruber Cosmology Prize was handed out to the Planck consortium in Wien, Austria.